To get to the heart of any spiritual journey, one must understand what is at stake for the story’s hero and what is to be surrendered. All true spiritual journeys are tales of loss, and this pilgrimage is no exception. 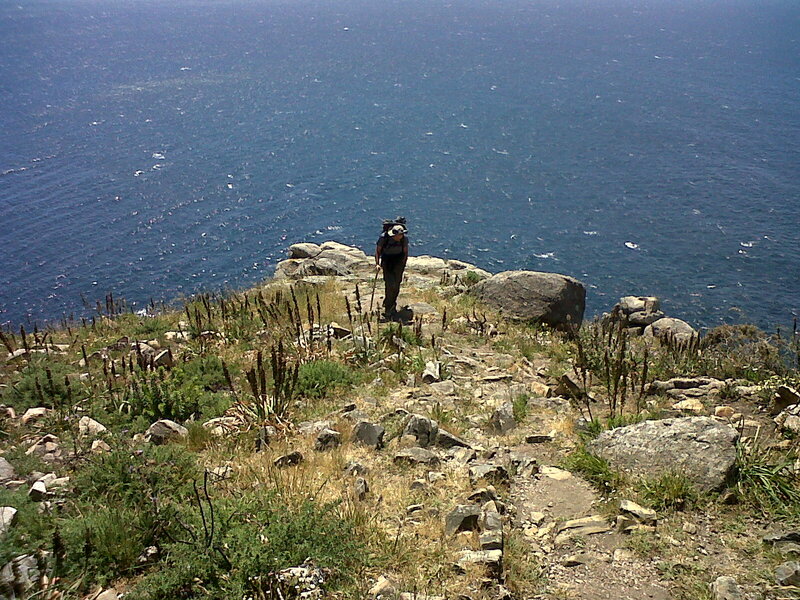 I’m currently working with Jill Marr of the Sandra Dijkstra Literary Agency on the marketing of Walking Backwards, an account of a pilgrimage I took last year from our sabbatical-year home in Provence, France to the coast of Spain. 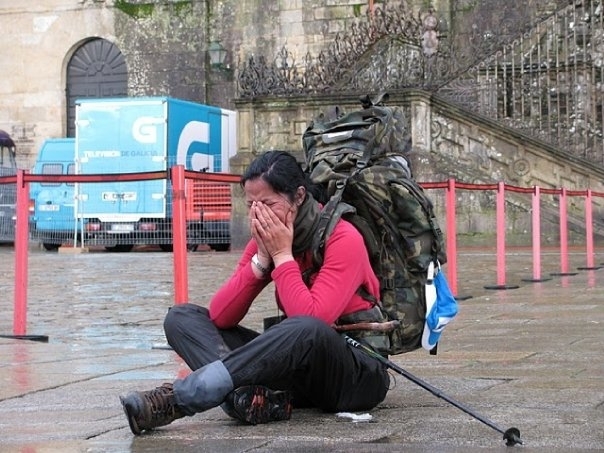 Walking Backwards (A journey of a thousand miles on the Camino de Santiago) is the story of my walk. The narrative interweaves the physical and spiritual elements of the trip, taking the reader along with me through the preparatory steps, embarking on the nine-week journey from my doorstep, traveling across France and Spain, and ultimately arriving at the cathedral in Santiago de Compostela. The armchair pilgrim gets a chance to walk the hot plains of Northern Spain, say goodnight to new friends in crowded dormitories, and experience the serendipity of a pilgrim’s charmed interactions. To read Walking Backwards is to know what it’s like to walk this amazing route and to get to know the people along the way. But above all the walk in the book – as it is in the real world – is a spiritual journey. And to get to the heart of any spiritual journey, one must understand what is at stake for the story’s hero and what is to be surrendered. All true spiritual journeys are tales of loss, and this pilgrimage is no exception. Through a series of tightly correlated recollections from the writer’s life we make the connections to what must be surrendered. In chapters interwoven with the narrative of the trip, we look backwards: through poignant recollections of a key, formative memory from the author’s childhood, the impact of his wife’s illness, and in the death of his first love, a woman who died just weeks before the author’s pilgrimage. The moving account of that turbulent, failed relationship, their eventual reconciliation and their final good-bye in the cathedral in Santiago is the emotional center of the book. Sensitive without being precious, revealing without being indulgent, Walking Backwards stands out as a story that is both intellectually and emotionally riveting. It is a book for grown-ups and anyone modest enough to try and become one. If you are interested in receiving exclusive content, including previews of my upcoming book Walking Backwards (A journey of a thousand miles on the Camino de Santiago) along with access to material currently being developed, please send an email to anathan@teambrainbox.com with “Adam Nathan Newsletter Offer” in the subject. I’m very intrigued and looking forward to the finished product! This is something I don’t think I’ll be able to do, but now I can take the journey and visit Camino de Santiago through your experiance. Nathan. Great proposal. I can’t wait to read you book. I also enjoy your post and look forward to reading each one. Thanks, Jane. I particularly appreciate that coming from you. St.-Jacques de Compostelle…I never made the trip but know enough about it to be intrigued! Your book sounds excellent. I look forward to reading the excerpts that you’ve posted.